The AFC Ann Arbor women’s side have announced the third member of their coaching staff. Jim Grewe joins the AFCAA women as the side’s goalkeeper coach. He is the second member named by Andy Pritchard to the staff as an assistant for the team. When asked what about the club appealed to him, Grewe had a list of two key reasons. Grewe’s coaching pedigree includes time most recently spent as the Director of Goalkeeping for the Michigan Jaguars. 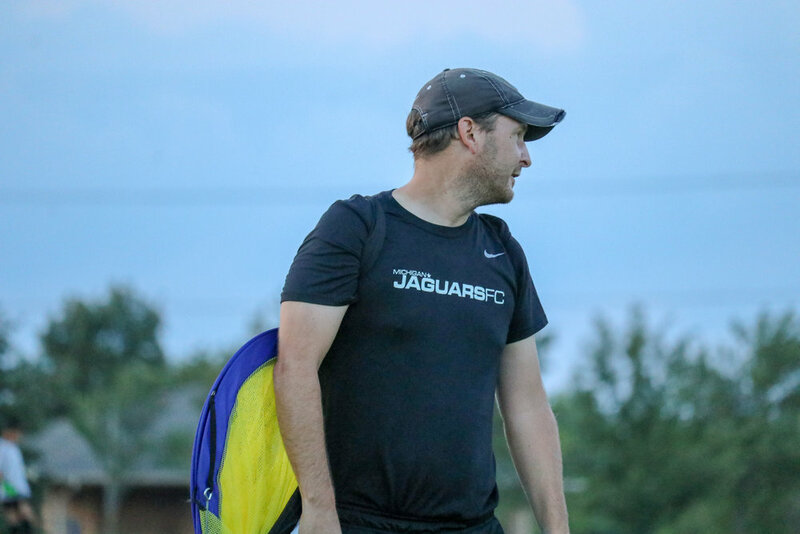 He has fourteen years of experience with the Jaguars and additionally, served as Michigan ODP Goalkeeping Coach during his time with the Jaguars. Grewe also served as the Goalkeeping Coach for the Eastern Michigan University Eagles’ women’s side. Before coaching, Grewe spent 1997-2000 as a netminder for the Detroit Titans, including helping to helm Detroit to their first ever victory over Michigan State in East Lansing. Grewe holds a USSF ‘D’ License and, by way of spending his career in the state of Michigan, is plenty familiar with the state of Michigan and talent within the state. To Pritchard, that appealed to Grewe, whom he has known for about a decade, saying, “He has coached goalkeepers in Michigan for many years at all levels - ODP, youth and collegiate.” The time spent in Michigan should make any sort of settling in process rather easy to assimilate to. AFCAA’s newest coach shared a bit of insight into his coaching methodology for his keepers. “The number one thing I try to instill in the goalkeepers I work with is confidence,” he said. “That has to be the base on which you build.” With the modern game evolving and, as he stated, “the days of just being a shot-stopper are gone,” Grewe also added, “The other big thing I want them to understand is that they are the 11th field player, that has the luxury of using their hands when necessary.” AFCAA will continue to be a forward-thinking club on both the men’s and women’s sides with shifts in modern footballing trends, and the addition to Grewe with his line of thinking is no exception. As the summer fast approaches, and the staff rounds into form, AFC Ann Arbor will continue to have updates on AFCAA roster and coaching staff news as it develops.